With the Vanier Cup All-Canadian Gala set for Thursday night at the Vidéotron Centre in Quebec City, U SPORTS takes a closer look at each conference’s football major award winners and all-stars vying for national honours and All-Canadian recognition. Atlantic University Sport is pleased to announce the 2018 football major award winners and all-stars as selected by the conference's five head coaches following regular season play. 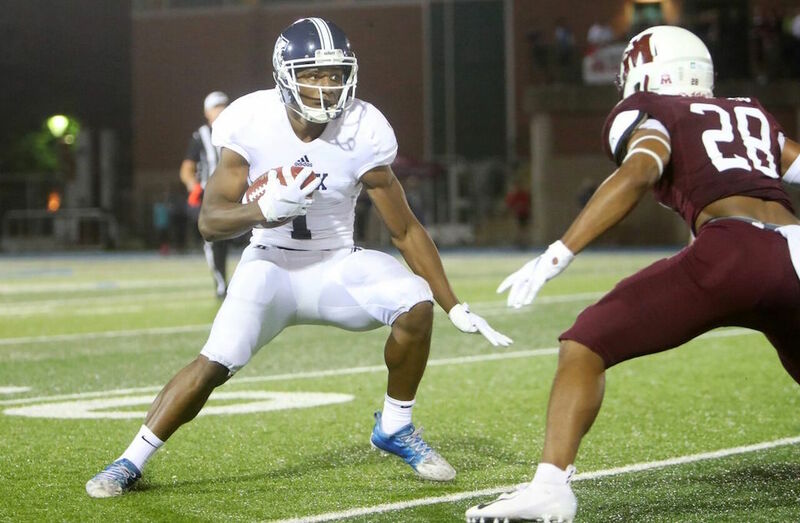 Receiver Kaion Julien-Grant of the StFX X-Men has been selected as the Atlantic University Sport outstanding player of the year. A fourth-year human kinetics student from Toronto, Ont., Julien-Grant led the AUS conference this season in receptions with 49 for an average of 6.1 receptions per game. He had a league-leading 638 total receiving yards for an average of 79.8 yards per game. He tied for first in receiving touchdowns with five on the season. In four seasons played, Julien-Grant now sits sixth in the AUS record books in career all-purpose yards with 4,563—more than any player in StFX school history. He is tied for fifth in AUS history in career receiving touchdowns with 22. His 2,032 career receiving yards place him 11th in conference history and his 118 career receptions are good for 13th. 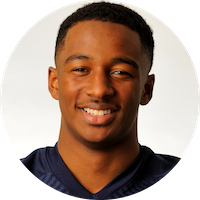 In addition to being named conference MVP this season, Julien-Grant was also named a conference all-star as both a receiver and a kick returner. This is his third consecutive year being named an AUS all-star. He was also selected as a U SPORTS first team all-Canadian in 2017 and 2016. This marks the third time in four seasons that a player from the X-Men has been honoured as the AUS most outstanding player. It was also won by former StFX standouts Tivon Cook (2016) and Ashton Dickson (2015). Julien-Grant now becomes the Atlantic conference nominee for the Hec Crighton Trophy as U SPORTS outstanding player of the year. No player from the StFX X-Men has ever won the national honour. The most recent Atlantic conference player to earn the national honour was former Saint Mary’s standout Erik Glavic who won the award in 2007. The AUS rookie of the year is Shedler Fervius from the Saint Mary’s Huskies. A six-foot, 195-lb wide receiver from Toronto, Ont., Fervius played in six regular season games for the Huskies this season. He led the AUS with a kick return average of 28.8. This included a 102-yard kickoff return for a touchdown in Saint Mary’s 28-16 win over Mount Allison on Oct. 13. He also had nine receptions (1.5 receptions per game), 132 receiving yards (22.0 yards per game), and averaged 14.7 yards per reception. This marks the first time in a decade that a player from Saint Mary’s has been named the AUS rookie of the year. Former Huskies standout Jahmeek Murray last won the honour in 2008. Fervius now becomes the Atlantic conference nominee for the national rookie of the year award. 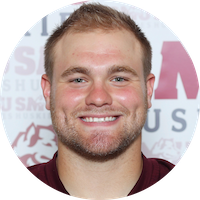 Mount Allison quarterback Jakob Loucks is the most recent AUS winner of the Peter Gorman Trophy as the top rookie in the nation. He earned the honour last season. No Saint Mary’s player has ever won the national award. Saint Mary’s Huskies linebacker Brad Herbst has been named the AUS outstanding defensive player of the year. A fifth-year criminology student from Ottawa, Ont., Herbst led the conference in solo tackles (40), assisted tackles (39), total tackles (59.5) and tackles per game (7.4). He also had an interception, a forced fumble, two pass break ups, 2.5 tackles for loss and 0.5 sacks this season. In his final year of eligibility, Herbst has amassed 151 career solo tackles and 107 career assisted tackles—placing him first in school history and fourth in the AUS record book with 204.5 career total tackles. In addition to being named the AUS outstanding defensive player of the year, he was also named a conference all-star for the second consecutive season today. Saint Mary’s student-athletes have now taken home this award in three of the past five seasons. 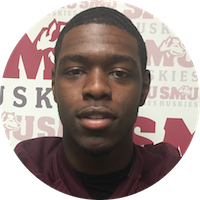 Former Huskies standout DeAndre Smith earned the honour in 2016, and SMU’s Jonathan Langa won in 2014. Herbst will now represent the conference as the AUS nominee for the Presidents' Trophy awarded to the national outstanding defensive player of the year. Only two Saint Mary’s players have ever won the national honour—Langa in 2014 and Alex Eliopoulos in 1992. 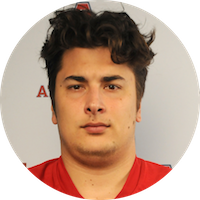 Thomas Grant of the Acadia Axemen has been named the Atlantic University Sport outstanding lineman of the year. A fourth-year business student from Halifax, N.S., Grant led the conference in sacks this season with 4.5 and in sack yards with 26. The six-foot-five, 290-lb defensive lineman had 15 solo tackles and eight assisted for 19.0 total tackles on the season—including six tackles for loss and 30 total loss yards. He also had a forced fumble. In addition to being named the league’s top lineman, Grant was also named an AUS all-star today. He will represent the conference as the nominee for the J.P. Metras Trophy which was last brought back to the AUFC in 1997 when StFX's Mike Kushnir was named the nation’s top lineman. 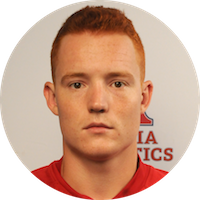 An Acadia player has yet to win the national honour. Cameron Davidson from the Acadia Axemen is the 2018 AUS student-athlete community service award recipient and will be the conference nominee for the prestigious Russ Jackson Award. Named after CFL quarterback Russ Jackson, this award recognizes a Canadian university football player who excels on the field, in academics, and in community service. This is the fifth consecutive year a player from the Acadia Axemen has earned the honour. A fifth-year kinesiology student from Wolfville, N.S., Davidson is a U SPORTS academic all-Canadian who volunteers extensively in the community. On the field for the Axemen this season, he had 45 carries for 238 yards and a touchdown, along with three receptions for 15 yards. 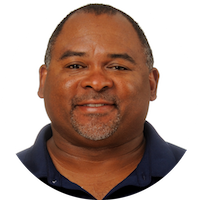 Davidson has served as a volunteer coach for the Grade 9 basketball team at local Horton High School, as well as with the Valley Bulldogs Minor Football Association spring and summer camp, since 2014. He has served on the executive committee of the Acadia Players’ Association since 2016. Other initiatives Davidson has given his time to include Acadia’s Cardiac Rehab Program, the Acadia Mental Health Association’s Athlete Auction fundraiser, the Acadia Cancer Society’s Relay for Life event, and Acadia’s S.M.I.L.E. program (Sensory Motor Instructional Learning Experience), working with children with autism to develop motor, cognitive and social learning skills. He now becomes the Atlantic conference nominee for the national award. The last AUS student-athlete to earn the national honour in this category was Mount Allison’s Dan Parker who won the award in 2005. Coach Gary Waterman of the U SPORTS no. 7-ranked StFX X-Men has been chosen by his peers as the Atlantic conference coach of the year. In his 10th year at the helm of the StFX program, Waterman led the X-Men to a 6-2 regular season record, second place in the conference standings, and a 1-0 record so far in the postseason. This is Waterman’s third time being selected as the AUS coach of the year. He previously earned the honour in 2015 and 2016. Waterman now becomes the Atlantic conference nominee for this year’s U SPORTS coach of the year award. Acadia head coach Jeff Cummins is the most recent AUS coach to receive the national honour, which he was awarded in 2017. Daniel Paquette of the Bishop’s Gaiters is the 2018 recipient of the Phil Hughes Award and the AUS nominee for the national Gino Fracas Award. This award is given annually to an assistant coach who does not make their full-time living coaching football for the university. Paquette currently serves as the Gaiters’ punting and kicking coach and has done so since 2010. This season, he began coaching Bishop’s Arnaud Dandin, who had no previous experience as a punter. Under Paquette’s leadership, Dandin finished as the second most successful punter in the conference this season, averaging 38.4 yard per punt. 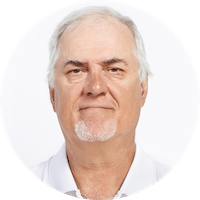 In addition to the time he devotes with the Gaiters, Paquette also serves as a coach for several CEGEPS schools as well as with punters and kickers at the University of Sherbrooke. Since 2016, Coach Paquette’s talents have been recognized by the Edmonton Eskimos, and he has been invited to training camp to work with CFL kicker Sean Whyte and the rest of the kicking staff. This marks the first time a coach from the Bishop’s Gaiters has been honoured with the Phil Hughes Award since the Gaiters joined the conference in 2017. Paquette now becomes the Atlantic conference nominee for the U SPORTS Gino Fracas Award. Saint Mary’s Joe Taplin is the most recent AUS recipient of the national award. He won in 2013. All Atlantic University Sport major award winners automatically become finalists for the U SPORTS awards which will be handed out at the U SPORTS All-Canadian Football Awards Gala being held Nov. 22 in Quebec City, Que.